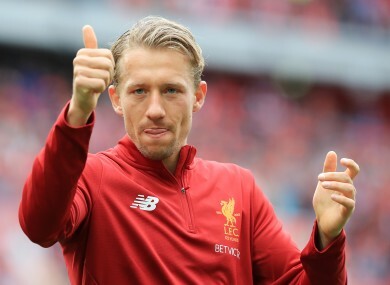 After 10 yeas at the club, Lucas Leiva‘s association with Liverpool is set to end. The Reds have reportedly accepted an offer of £5 million — peanuts in today’s market — from Lazio for the Brazilian midfielder. The 30-year-old will replace another Lucas — Biglia — who is joining AC Milan’s increasingly-impressive revolution. In huge news also relating to the Rossoneri, they have someone managed to persuade Juventus defender Leonardo Bonucci to leave the Italian champions and sign up for a reported €40m. Barcelona have opted to exercise a buy-back clause which will see Gerard Deulofeu return from Everton for €12m. The Spanish winger joined the Toffees on loan in 2013 before signing permanently with them. However, he fell out of favour with manager Ronald Koeman last season and spent the second half of it at Milan. West Ham are hoping to lure Joe Hart to London, initially on loan, and that may spell the end of Darren Randolph‘s time with the Hammers. According to the Newcastle Chronicle, the Wicklow man will be offered to the newly-promoted Magpies if Hart does arrive. Meanwhile, Brendan Rodgers will hand once-capped England defender Steven Caulker the opportunity to resurrect his career at Celtic. The ex-QPR centre-half, who played under Rodgers during their days at Swansea, has battled with off-the-field issues in recent years but 25-year-old Caulker would be a valuable asset to the Scottish Premiership champions if he could get back to his best. After earning a reputation as one of the Europe’s finest strikers as a Spanish and European champion at Real Madrid and just one year after winning the Golden Boot at the World Cup with Croatia, Davor Suker moved to Arsenal for £3.5m in 1999 after a falling out with Real boss John Toshack. He scored 11 goals in 39 games (24 of which were as a substitute) before leaving for fellow Londoners West Ham just one season later. Email “Liverpool midfielder off to Serie A, Ireland keeper could join Magpies and today's transfer gossip ”. Feedback on “Liverpool midfielder off to Serie A, Ireland keeper could join Magpies and today's transfer gossip ”.